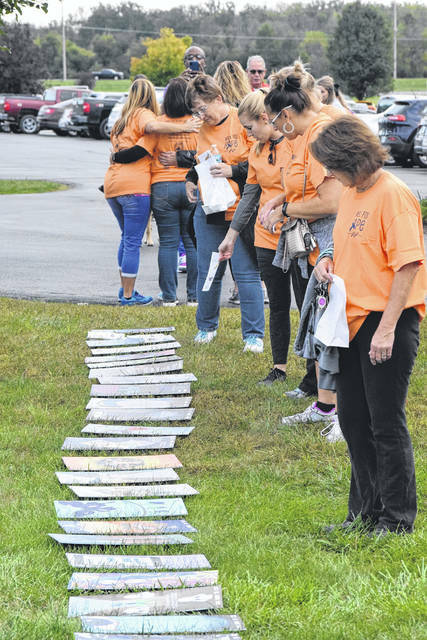 On Saturday, Sept. 29, Preble Countians walked to remember those who have died by suicide. 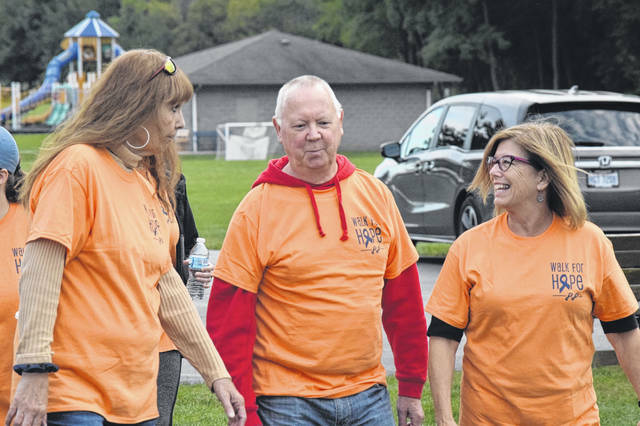 The annual Walk to Remember, Walk for Hope Suicide Prevention Walk was held at Seven Mile Park, bringing together those who have been affected to light luminaries and spread awareness. 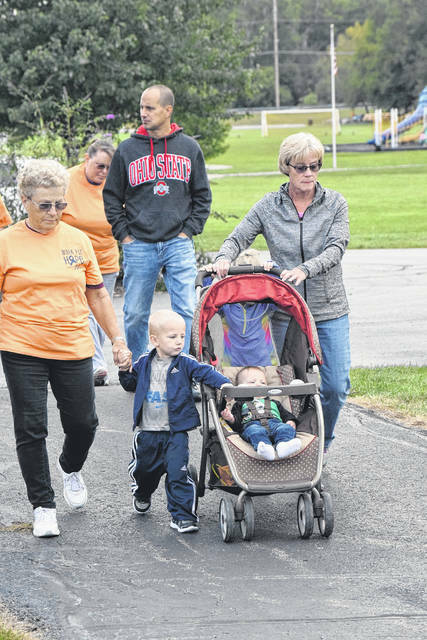 EATON — On Saturday, Sept. 29, residents of Preble County walked to remember those who have died by suicide. 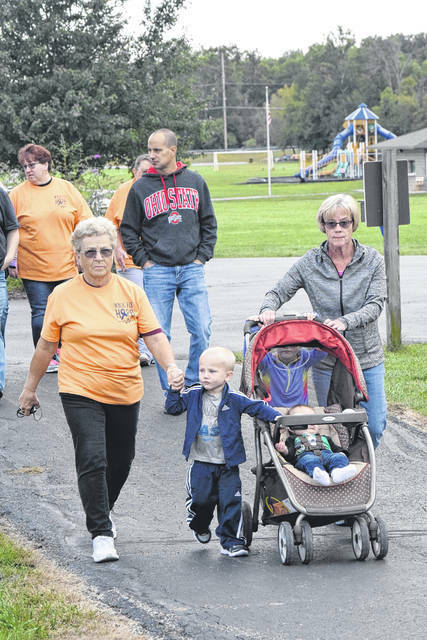 The annual Walk to Remember, Walk for Hope Suicide Prevention Walk was held at Seven Mile Park, bringing together those who have been affected to light luminaries and spread awareness. This 5K walk exists to remember those who have lost their lives to suicide and to promote suicide awareness, education, and prevention measures. It is a fundraiser where all the proceeds benefit the Preble County Suicide Coalition and local suicide prevention programming. 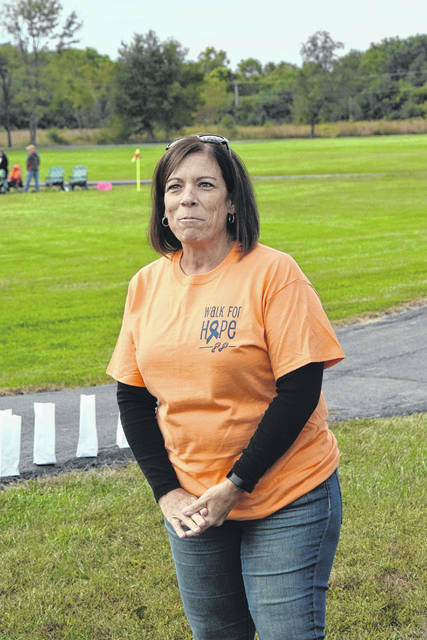 Eight years ago, the walk was created by Terri Hundley, who was a senior at National Trail. As her senior project she focused on suicide prevention. Now, years later, she and her family still support the walk. 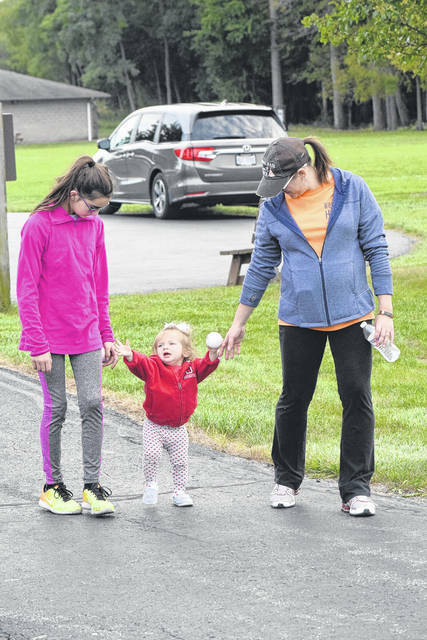 Every year the Favorite and the Roach families raise money to donate for the walk. This year, they raised $1,600 in memory of Dylan Roach. Not only can families walk in remembrance of their loved ones, but they can leave a luminary behind. These are bags that have lights in them that families can purchase and write the name of their loved ones on the bag. When they walk through the woods, the families are able to distribute the bags where they want, in remembrance of those they have lost. “We want to thank everybody for coming. This is a really important topic, we see it in the media and we see it locally. All of the proceeds that we raise goes towards suicide prevention in the schools, all five schools receive those services. It is something really important to me and really important to the community that we do the best we can to save as many lives as we can,” Amy Raynes, Executive Director of the Preble County Mental Health and Recovery Board, said. Michelle Gebhart, of Gebhart Counseling Solutions LLC, led the crowd in a moment of silence for Camden Leonard, who recently took his own life. “We provide education in our schools on depression and suicide prevention. We reach just over 2,000 students every year, grades six through 12 to educate and raise awareness. 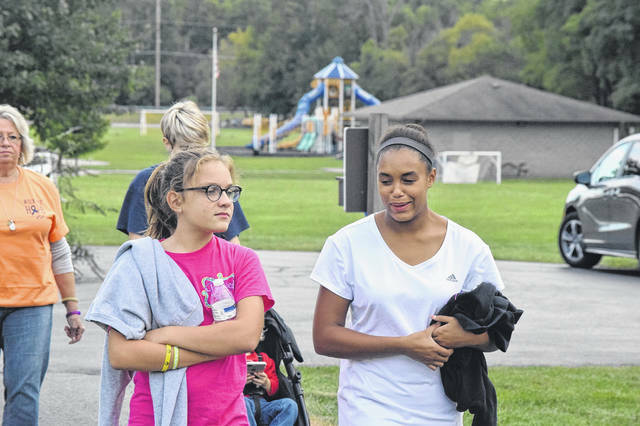 Obviously, our goal is suicide prevention,” Gebhart said. 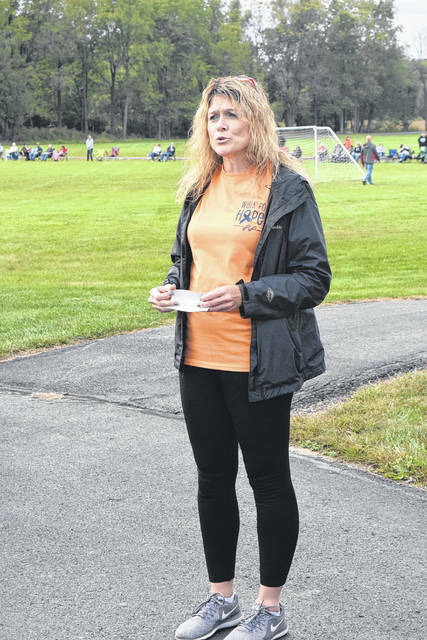 Vickey Mikesell attended the Walk to Remember, in support of the efforts being done in Preble County to prevent suicide. 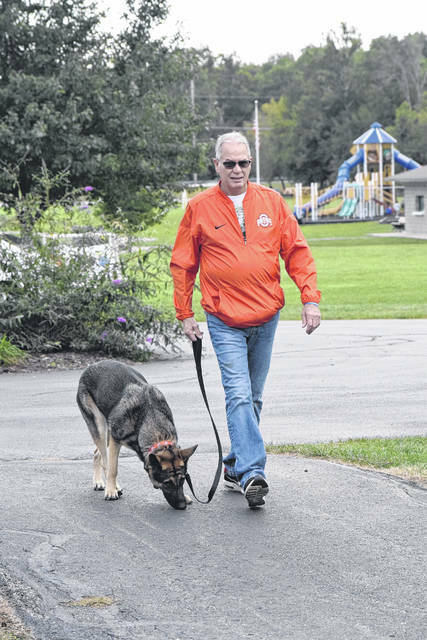 For Steve Brown, suicide awareness hits close to home. 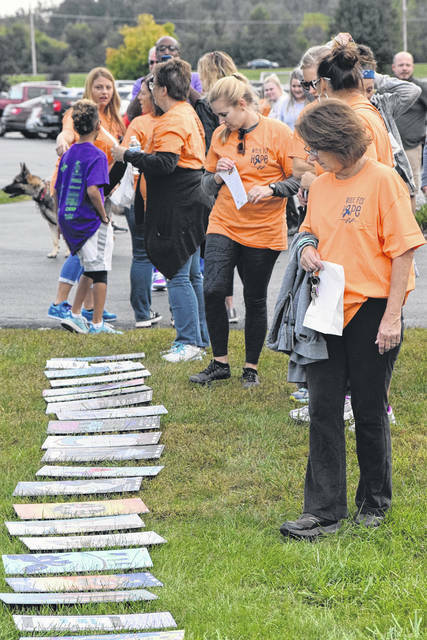 https://www.registerherald.com/wp-content/uploads/sites/41/2018/10/web1_Walk4.jpgOn Saturday, Sept. 29, Preble Countians walked to remember those who have died by suicide. 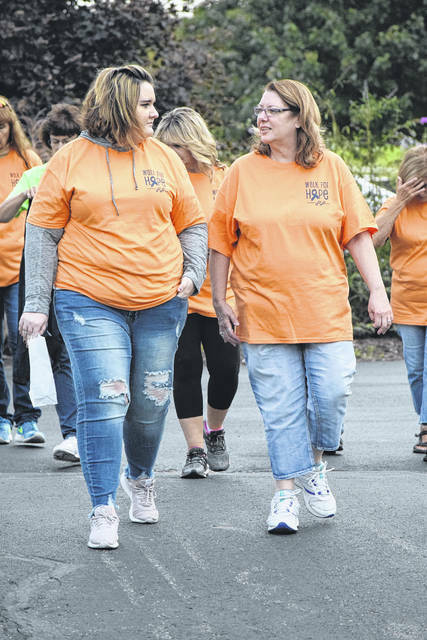 The annual Walk to Remember, Walk for Hope Suicide Prevention Walk was held at Seven Mile Park, bringing together those who have been affected to light luminaries and spread awareness.